Albert Einstein defined insanity as "...doing the same thing over and over again and expecting different results." And he said, "The world is a dangerous place to live; not because of the people who are evil, but because of the people who didn’t do anything about it." Will Cheney and Bush simply walk away from powers they have usurped? If so, and the rotten cash-‘n-carry election pageant culminates, the same old thing over again...another puppet of the elite will perpetuate the status quo. Police-state environments of the Democratic and Republican national conventions, including preemptive arrests for simple suspicion of protest says it all—shut up and conform, or else. Preemption. Criminalizing dissent. Thought crime. Orwellian nightmare in your face. The vast scope of elite control over the American system has made "what can we do?" the dominant refrain of American people who still think for themselves. "WHAT CAN WE DO!?" Though our realistic options are so choked, a meaningful method of influence endures: Turn Off mainstream corporate media (CorpoMedia). Ignore it, avoid it, wither it. The elite and their government still cannot force CorpoMedia on an individual. The programmed brain drain is still optional. The insanity of continuing to believe the lies and propaganda can end with the flick of a switch. Five enormous corporations control virtually all of CorpoMedia, their "news" dictated by corporate government (CorpoGov). If working class Americans can rally the wisdom and will to hit CorpoMedia in the profits by squeezing their advertising revenue—as we are already doing with newspapers—at least the chances of something positive happening are no longer zero. Information is power. 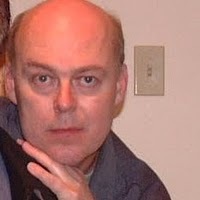 Ignorance, misinformation, and dogma about utter American eminence feeds helplessness. A solid niche created for truth in news beyond what already flourishes on the Internet could help empower the people by combating the helplessness pushed by the elite. CorpoMedia virtually never delivers unbiased information when it comes to anything related in any way to corporate profits—there’s always an agenda, always "spin." CorpoMedia simply manipulates viewers toward "proper" thinking...toward what the elite want the people to think, which is rarely in the peoples’ best interests. Corporations siphoning wealth from the working class that in a healthy nation, creates the wealth, is reaching proportions lethal for any nation, and they have the whole world in their sights. Increasing corporate profits, CorpoMedia’s ultimate concern, lead to two foundational issues which dominate all the rest: war, and oil—king and queen of corporate profit generation. CorpoMedia’s standard motif involves reducing a complicated and dynamic world down to the simplicity of good versus evil, something in full play regarding the recent conflict in Georgia. Despite the usual camouflage of florid rhetoric about freedom and democracy—and in this case, "...naked aggression" of the Russian Bear—America’s involvement orbits fossil energy (oil and gas; for convenience here, simply oil). 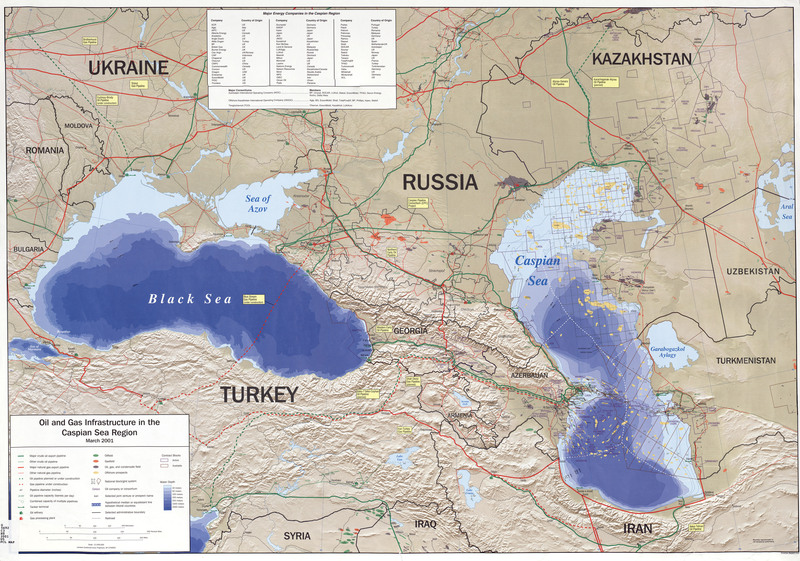 Back in the early 1990s, the world’s most promising new source of oil was the Caspian Sea basin. Big Oil rushed in and had little trouble coaxing former Soviet Republics in the region to sign contracts. (MAP) The big trouble was logistical—how to move all the billions of barrels of proven reserves from the landlocked Caspian to Western markets, without involving Russia, which all existing pipelines passed through.